iPads in classroom – my opinion changed. Today, my class had the opportunity to use an app called Toontastic on iPads. It allows users to choose stock images and character clip art and manipulate them to tell a story. Unlike Storybird (browser based tool), Toonastic is not text based and uses the built-in microphone on iPads to record dialogues. The end product is a very engaging process where the user manipulates the character clip arts (using two fingers to zoom in/out, move) as the user uses his/her own voice narrating. 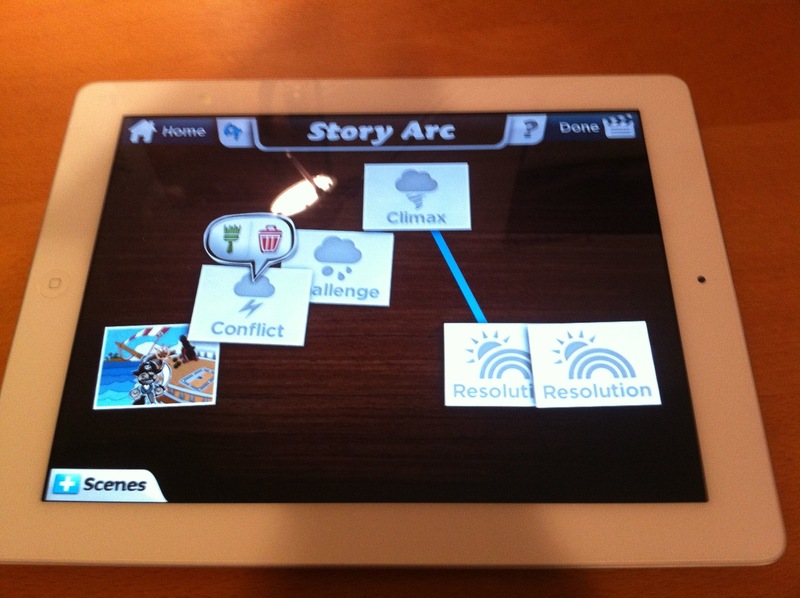 The app follows a simple progression of plot – setup, conflict, challenge, climax, and resolution. It was an amazing and delightful experience. My students are fully engaged and asking me questions such as “what is a climax?’ or eagerly wishes to show their story to me. I can’t help but feel excited over the possibilities of other “amazing apps” to come. Sure, presumably a similar tool is offered on the web, and one can create stories and use a connected microphone to record sounds. BUT -> I just don’t think the experience is the same. Seeing the children so intuitively manipulate the cartoon figures with their fingers and speaking casually as the iPad records their voices -> such simplicity is rarely found with keyboard/mouse.